We value our clients' experience at Animal Wellness Centre of Wesley Chapel. If your pet or animal is currently a patient, please feel free to complete the following Client Experience Questionnaire. The Questionnaire is in Adobe Acrobat format, and requires the free Acrobat Reader to view. 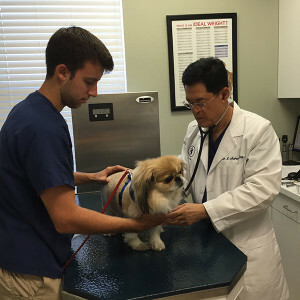 Dr. Hong has always gone above and beyond for the care of our family's pets for several years.